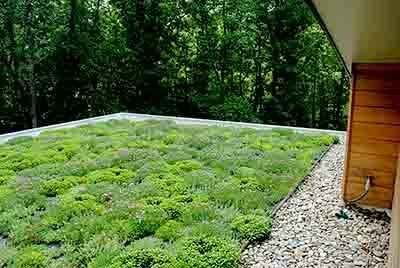 Chapel Hill Residence | residential | Living Roofs Inc.
A green roof for an author and plant enthusiast. 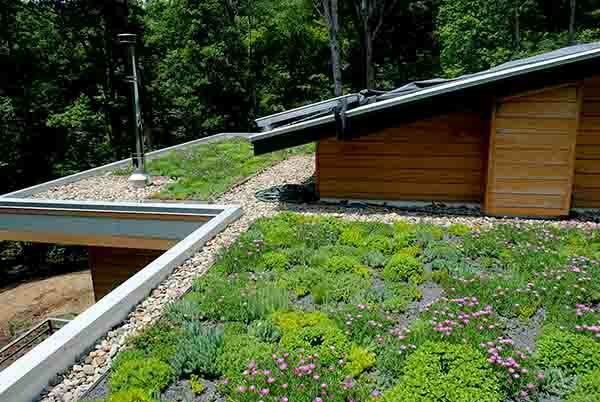 This unique project includes a lower roof with a semi-intensive green roof system planted with annual vegetables and native perennials. The upper roof is extensive, comprised of Sedums and other succulents. 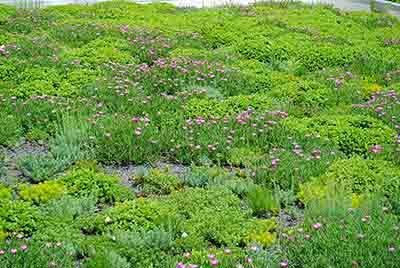 Growing media depth for the semi-intensive green roof is at least 6 inches providing increased water retention and sufficient growth zone for larger rooted plants.